This program supports the creation of community learning centers that provide academic enrichment opportunities during non-school hours for children, particularly students who attend high-poverty schools. The program helps students meet state and local student standards in core academic subjects, such as reading and math; offers students a broad array of enrichment activities that can complement their regular academic programs; and offers literacy and other educational services to the families of participating children. 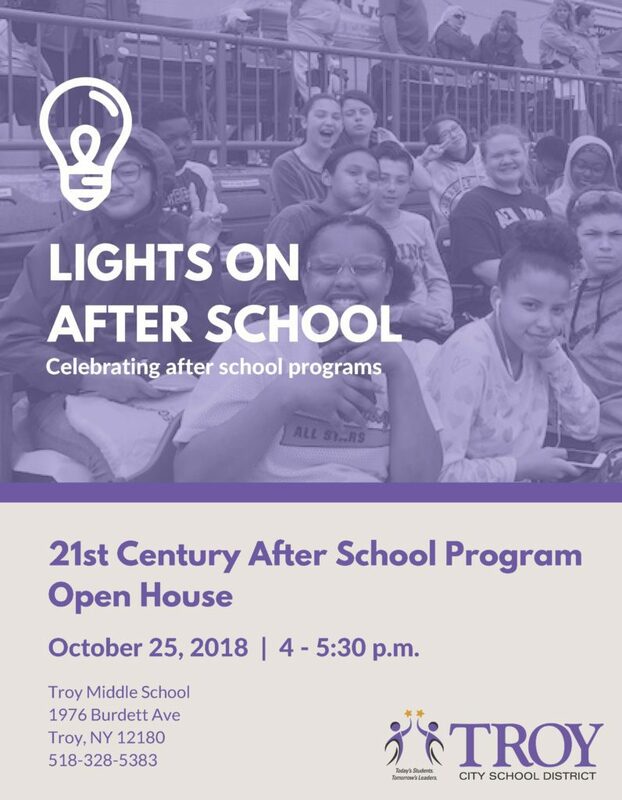 http://www.troycsd.org/programs/21st-century-after-school-program/ At Troy CSD, the 21st Century After School Program supports more than 600 students in Grades 5-8.